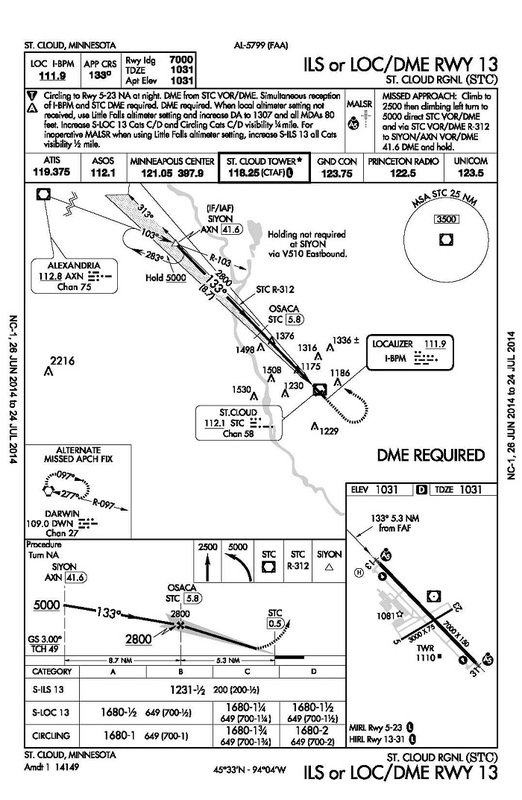 Is NTSB Failing to Investigate Wake Turbulence at the KSTC Crash? It was a pleasant Minnesota summer evening, on June 20th, when a 60-yr-old airline pilot took off from the St. Cloud Regional Airport for a quick sightseeing flight. He was carrying a 16-yr-old high school exchange student, who soon would finish his year — as a house-guest of the Mayor — and fly home to his family in Germany. The pilot wanted to provide the young man a chance to see his temporary home one last time, from the air, and capture some photographs. An added feature was that the Mississippi River waters were very high with late Spring floodwaters. They took off shortly after 8PM, and not much later were flying over the Sauk Rapids area. At the same time, Allegiant Airlines Flight #108 was inbound from Mesa, Arizona. The airline maintains a schedule with two arrivals each week, at 8:08PM on Monday evenings and Friday evenings. On this night, the flight was running about twenty minutes late. St. Cloud Airport sits roughly six-miles southeast of Sauk Rapids, and has a 7,000′ runway aligned northwest-southeast (Runways 13 and 31). On this particular evening, the winds favored use of Runway 13, so when the air traffic controller at Minneapolis Center descended Allegiant Flight #108, they also issued vectors to approach from the northwest. As the flight approached the city of St. Cloud, the pilot was told to contact the control tower at KSTC. Orange line approximates Allegiant route; red circle marks accident location. The Allegiant crew would make their radio call to the tower while northwest of the city and east of Sauk Rapids. The tower controller would be expecting the call, because the Minneapolis Center controller would have already coordinated the planned arrival, via a phone line. What the controller would not know, however, was whether the pilot would bring his jet in higher or lower than the normal/average arrival. The pilot had full discretion to vary his altitude, within safe limits. On the evening of June 20th, the Allegiant flight came in particularly low, perhaps to take a closer look at the flooding near Sauk Rapids. Flight profile data, viewable online, indicates that the jet may have been as low as 1,000′ above ground level (AGL) when at a five-mile final to Runway 13. In cloudy conditions, flying the instrument approach, the planes must cross this distance at roughly 1,800′ AGL. Eyewitness reports suggest that the sightseeing flight was close by. If this is true, the pilot of the RV-6 was likely already talking to the tower controller, or was just about to call the tower to return for landing. Numerous witnesses on the ground reported seeing a ‘big airplane’ pass just before seeing a small airplane suddenly flip and dive into a fiery crash in their residential neighborhood. What should have been a thrilling experience at the end of a young man’s year visiting America, instead became yet another tragic fatal accident for NTSB to investigate. The NTSB made no mention of the fact that MANY residents reported observations consistent with a Wake Turbulence encounter: no mention of the possibility of wake turbulence, and no details confirming (or denying) the involvement of the Allegiant flight. The report even erred substantially, saying the crash time was at 8:34PM; this implies no connection to Allegiant (since that flight landed at 8:30PM), and also contradicts the 8:26PM crash time presented in news articles, as reported by local police. This was a shocking accident, and very well covered by the local media, whose early news reports show many residents saw a big plane and a small plane and a crash. And yet, none of these details were included in NTSB’s ‘Preliminary Report’. Why not? Shouldn’t NTSB try to answer the questions that were being raised as the details were emerging for this news story? Is NTSB expecting to have credibility with the citizens they serve, when they release reports appearing as slipshod as this? NTSB then sent a March 2, 1994 letter to FAA Administrator David Hinson, listing nineteen Safety Recommendations. Within its opening paragraphs, that letter notes: “…between 1983 and 1993, there were at least 51 accidents and incidents in the United States … that resulted from probable encounters with wake vortices. In these 51 encounters, 27 people were killed, 8 were seriously injured, and 40 airplanes were substantially damaged or destroyed….” Eventually, in response to NTSB’s safety recommendations, FAA lengthened its wake turbulence separation distances, making them slightly safer. Based on these limited actions, NTSB removed ‘Wake Vortex Turbulence’ from their Most Wanted List in 1998. But, the separation distances may not be enough. As revealed in ANALYSIS: Selected NTSB Investigations Involving Wake Turbulence, these upsets still happen, and many are being killed at a surprisingly high frequency. At St. Cloud, the potential for an upset was even higher, simply because the RV-6 has a very short wingspan (only 23′, vs ~35’+ for a typical PA28, C172 or SR22). So, it seems unacceptable that NTSB has produced a preliminary report with no mention of wake turbulence. And, worse, it appears possible that NTSB’s empty statement may reflect a routine failure to document evidence of Wake Turbulence events. This entry was posted in Accidents: fatal, Accidents: nonfatal, Av-GovComplex, CultureOfUnaccountability, DelayDelayDelay, DerelictionOfDuty, GA: BizJets, GA: SmallerAircraft, Helicopters, NTSB and tagged ReformFAA-(analysis), WakeTurbulence by reformfaanow@gmail.com. Bookmark the permalink.